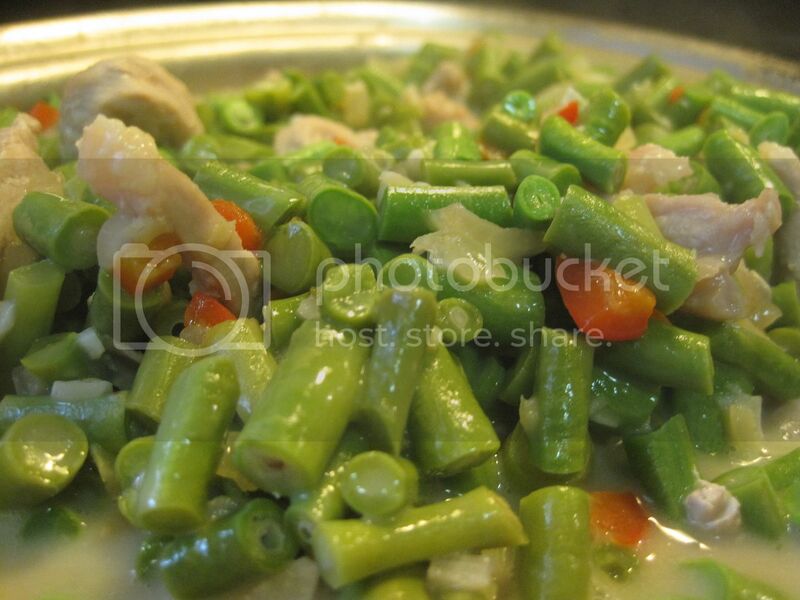 This is an update to the gising-gising recipe that we previously posted on this blog. Since the garden has been quite prolific with these beans, I had to freeze some of them yesterday. I left out enough for our lunch though, and decided that this updated version to the gising-gising recipe is in order. The original recipe did not have any meat nor did I use any peppers so I though I would incorporate those two things in this update. Heat about a tablespoon of oil and saute the pork (if using) until it is starting to brown on the edges. Add the garlic, ginger and onions. Stir for another couple of minutes until fragrant and the onions are translucent. 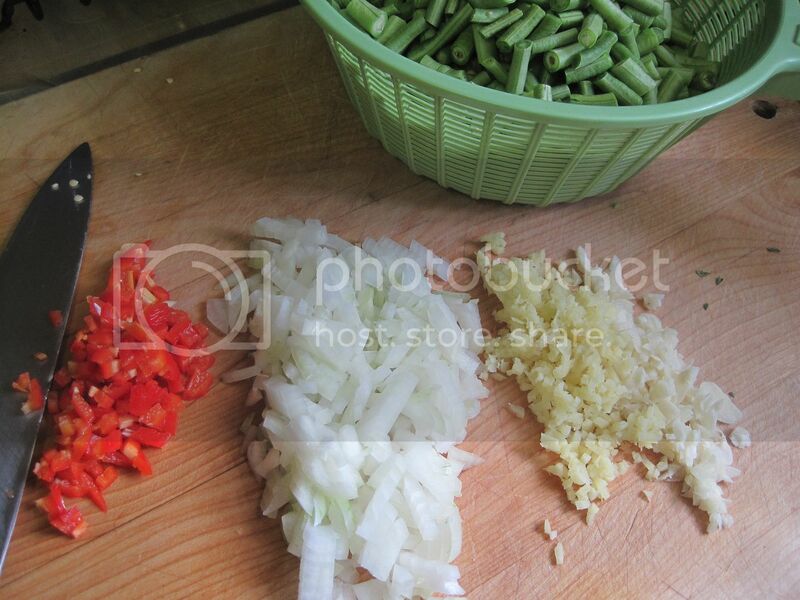 Add the beans and stir fry for a few minutes until they turn a bright green color. Add the coconut milk and jalapeno. Stir and cook over medium heat for 5 minutes or until the beans are to your desired doneness. Adjust the seasoning, add more salt if needed. 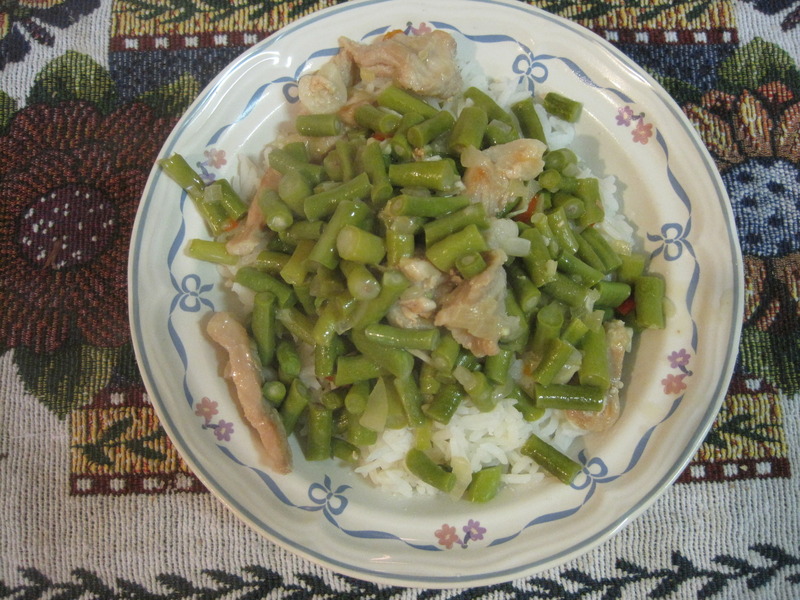 This recipe can also be made with regular green beans if you don't have yard-long beans. Also, the jalapeno and pork are totally optional. I just thought I would throw in the meat just to make it more of a meal. Shrimps would have been good too. I happen to like this dish very spicy and I would have added more spice if I was the only one eating it. As it is, I wanted to use the red jalapenos because they were just so darn pretty! But I also removed all the seeds from them just so my daughters can still eat this dish. 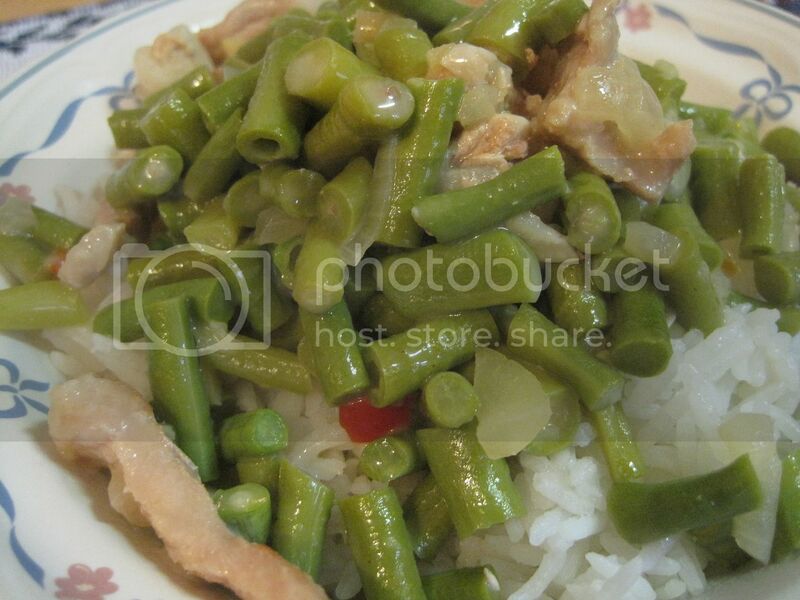 This was a perfect dish for a light lunch which we simply ate with a bowl of rice. Anything with gata, I like!